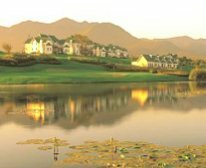 The Outeniqua is one of two majestic 18-hole Parkland layouts at Fancourt. 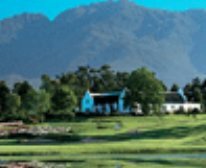 Designed by legendary Grand Slam golfer Gary Player, it is similar in character to its sibling The Montagu, and its challenging design and fine conditioning will ensure an excellent test for all levels of golfers. 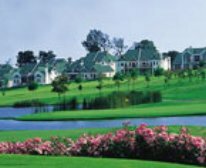 As with all courses at Fancourt, there are a variety of tees from which to choose to play, ensuring that golfers are unlikely to ever feel overpowered by the course. 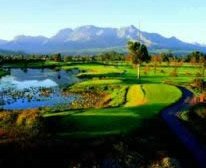 As with The Montagu, play is restricted to hotel residents, members and their guests, so you are unlikely to ever feel crowded on the course, however, it is always a good idea to book in advance to ensure that you get your desired tee time. The warm-up area, featuring a full-length range and a chipping and bunker practice area, is available to all golfers before play. Golf carts are available for hire, weather permitting, while knowledgeable caddies are available too. Please note that to improve your playing enjoyment and to ensure a steady pace-of-play, it is expected that there are at least two caddies for each fourball.